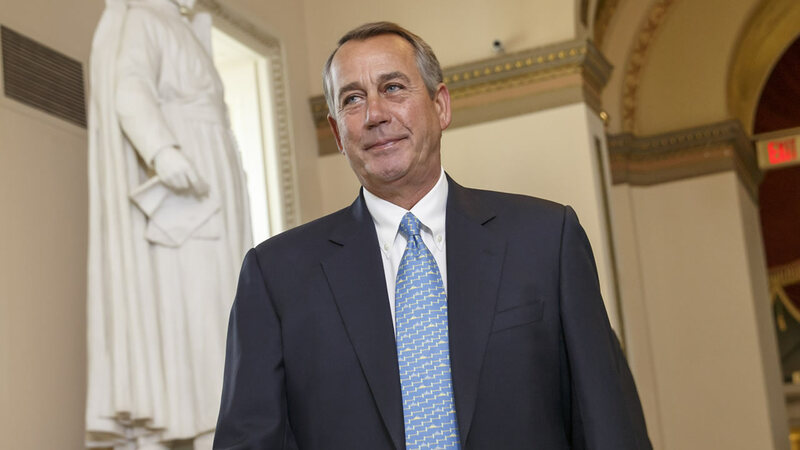 NEW YORK, NY (WTVD) -- John Boehner is heading for a cannabis company's boardroom, the former Speaker of the House announced Wednesday. "I'm joining the board of #AcreageHoldings because my thinking on cannabis has evolved I'm convinced de-scheduling the drug is needed so we can do research, help our veterans, and reverse the opioid epidemic ravaging our communities." the Ohio Republican tweeted. In a press release, Acreage Holdings announced that former Governor of the State of Massachusetts Bill Weld would also join their Board of Advisors. "The time has come for serious consideration of a shift in federal marijuana policy," the two said in a joint press release adding that marijuana should be used to "self-treat PTSD, chronic pain and other ailments." "As members of the Board, Speaker Boehner and Governor Weld will bring an immense, collective and unique set of experiences in government affairs, unmatched leadership and guidance to help drive Acreage towards its strategic mission." Acreage Holdings said in the press release.